Identifying the sitters of the past is one of the biggest drivers of value when it comes to selling traditional portraits on the secondary market. Portrait of Lady Elizabeth Capel, Circle of Sir Peter Lely – £17,000 at Tennants. At North Yorkshire saleroom Tennants (20% buyer’s premium), respectable sums were achieved for two identified aristocratic sitters in a sale on November 17. Both 4ft x 3ft 4in (1.24 x 1.02m) oils had been catalogued as ‘circle of’ Peter Lely (1618-80), the renowned Dutch painter of the English court. 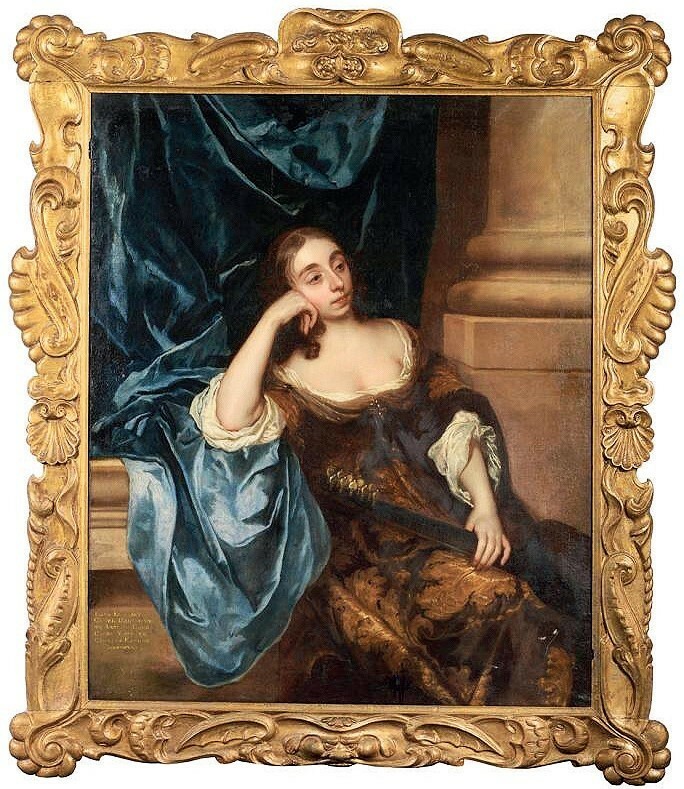 The pricier of the two portraits, overshooting a £7000-10,000 guide to sell for £17,000, depicted Elizabeth Capel. Capel was an amateur artist and the sister of Arthur Capel (1632-93), first Earl of Essex, who rebuilt and enlarged the house and gardens of the family seat, Cassiobury Park, beginning in 1677. The Capel family gave Lely plenty of commissions. Eight pictures by the painter hung in the library at Cassiobury Park, remaining there until 1922 when the house and its contents were sold. Among them was Lely’s painting of the sitter and her sister Mary, which is now in the Metropolitan Museum in New York. The other portrait depicted Lady Diana Sidney, one of the 12 children of English diplomat and politician Robert, Second Earl of Leicester. Although little about her life is known, this attractive portrait sold towards its upper guide for £9500. George Venables-Vernon, 1st Baron Vernon attributed to Enoch Seeman offered with a companion portrait of his first wife Mary – £7500 at Moore Allen & Innocent. 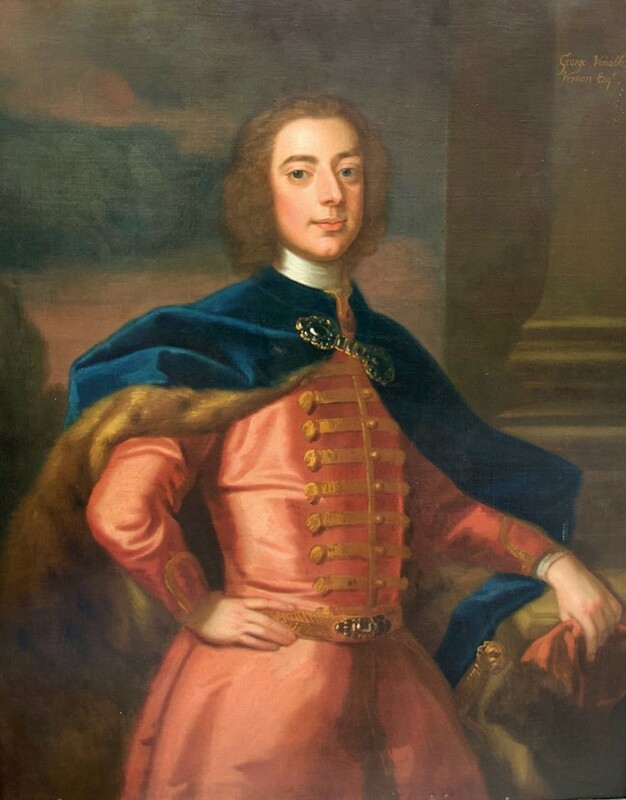 At Cirencester saleroom Moore Allen & Innocent (20% buyer’s premium) on November 23, a pair of portraits sold for £7500 were attributed to the hand of fellow Dutch painter Enoch Seeman (1694-1745), a painter at the courts of George I and II. The portraits of George Venables-Vernon, first Baron Vernon, and his first wife Mary, daughter of Thomas Howard, sixth Baron Howard of Effingham, had been estimated at £8000-12,000. George Venables-Vernon sat as a Member of Parliament for Lichfield and later Derby. In 1762, he was raised to the peerage as Lord Vernon, Baron of Kinderton. Mary married the politician in 1733 but died seven short years later. The family seat was Sudbury Hall in Derbyshire, infinitely more famous today as Mr Darcy’s Pemberley in the BBC’s 1995 dramatisation of Pride and Prejudice.